loves to educate the world on Flower Essences. 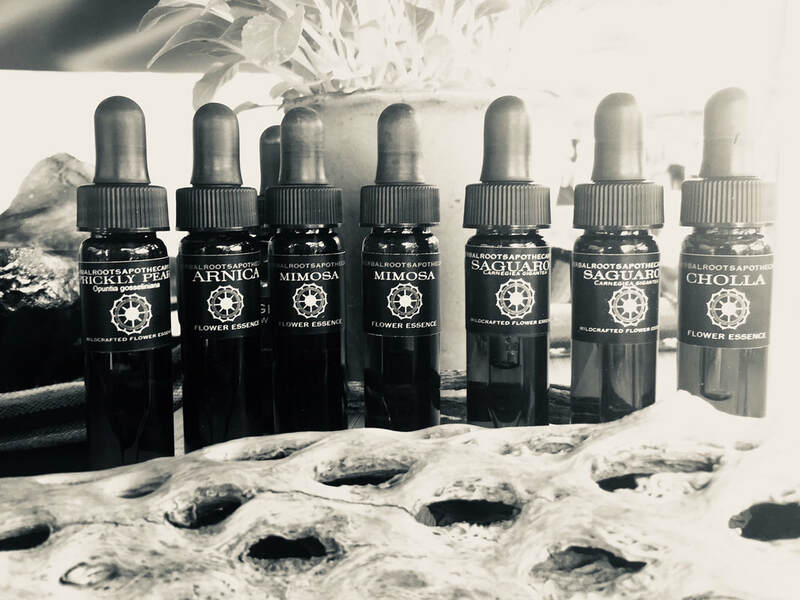 She highlights this area of botanical, vibrational medicine when teaching at herb schools, music & healing arts festivals, and community events. 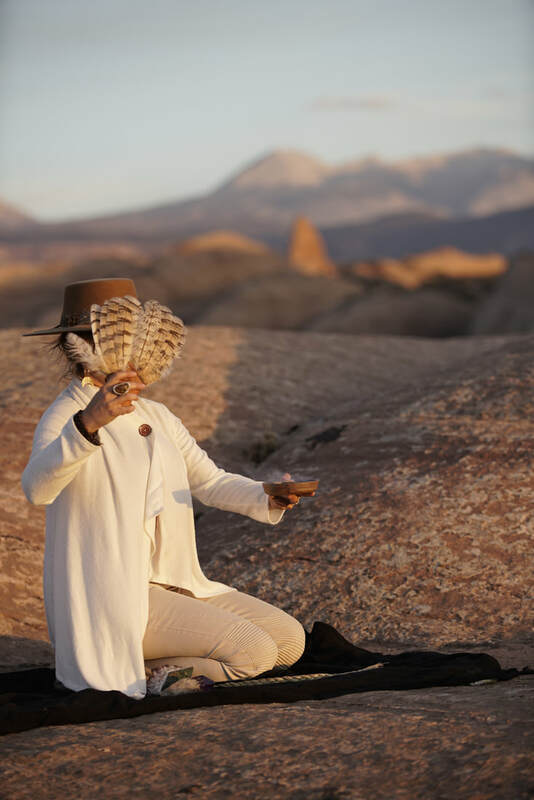 Sara (SJ) began the herbalist path in 1995 after moving to the desert of Moab, UT, from Texas. The herbal allies of leaves, flowers, roots, & essential oils flowed her way for various ailments like sore throats, sprained ankles, and colds. Rocky Mountain Center for Botanical Studies in Boulder, Co. 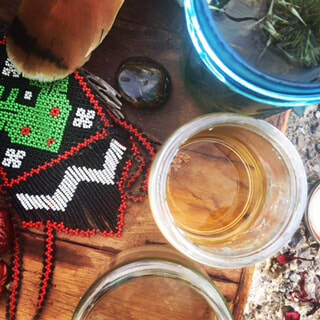 It was here that Sara's medicine path & healing journey unfolded as she studied to become a Certified Clinical Herbalist with a background in Holistic Nutrition, Earth Centered Herbalism, Vibrational Medicine, Ethical Wildcrafting, & Medicine Making. 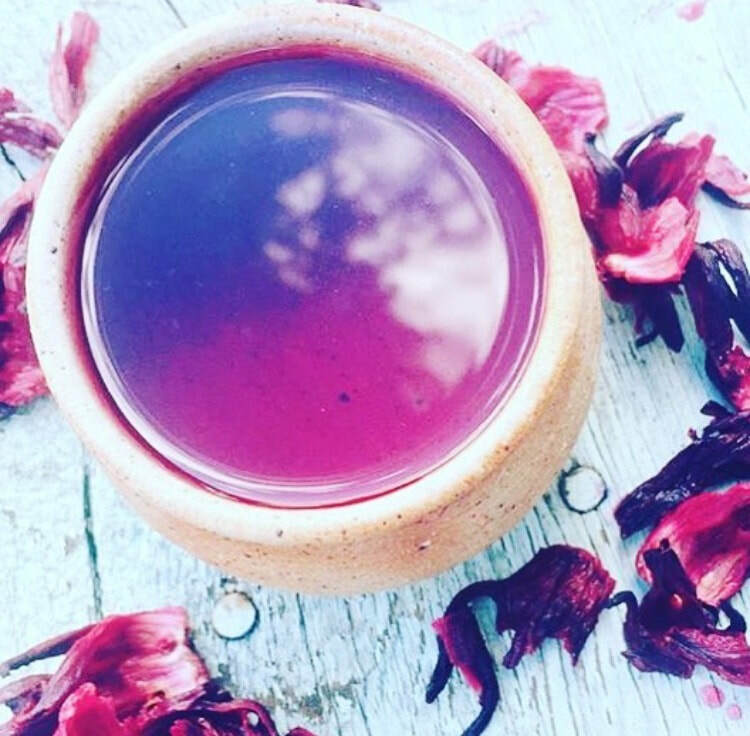 Graduating three years later with medicinal plant knowledge in Traditional Chinese Medicine (TCM), Ayurveda, and Western Herbalism, her specialty would become the least known of the botanical treasures, the Flower Essences. 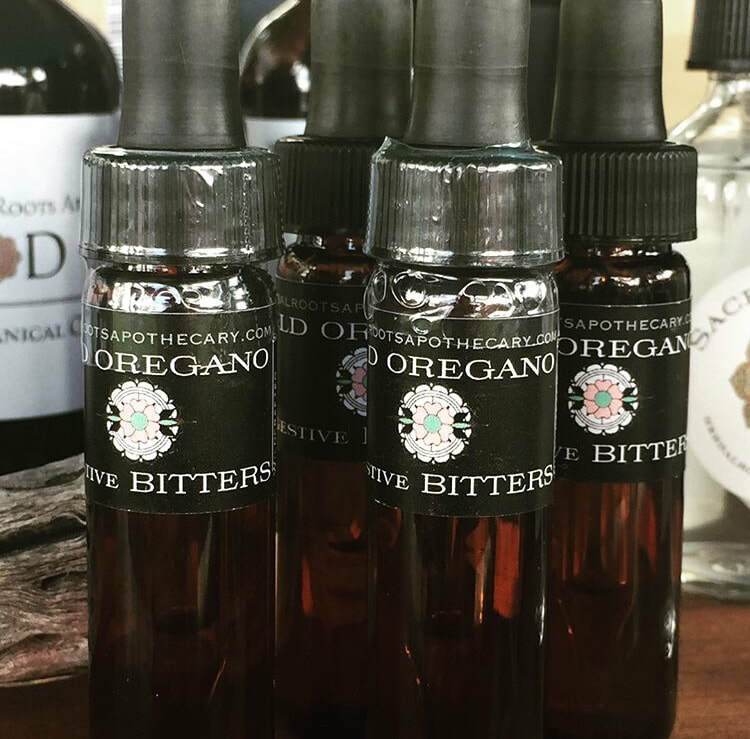 These liquid tinctures of sunlight work with the mind, body & Spirit, particularly the thoughts & emotions, which create our realities. near the La Sal Mountains in Moab, UT. Just as she locked her hands & feet into a nice 'crag' or 'hand jam' to make a very short ascent to the top of the mesa, her dog Lefty dislodged a boulder onto her head from above. It was in this moment, a flash of a few seconds, that her entire life had changed forever. SJ would then embark on a journey into the underworld and healing arts arena simultaneously (unbeknownst to her), with a traumatic brain injury (TBI) and the 'loss of self' at age 27. It is through most importantly an attitude of "anything is possible" along with mantras, visualizations, herbal adaptogens, a plethora of flower essences, craniosacral therapy, friends & family, and mass amounts of quiet time in nature, that SJ lends her full recovery to. Basic symptoms of her TBI included a partial loss of vocabulary, slight amnesia, the entire gamut of emotions, two complete partial (gran mal) seizures, no energetic boundaries, & panic attacks to name a few. 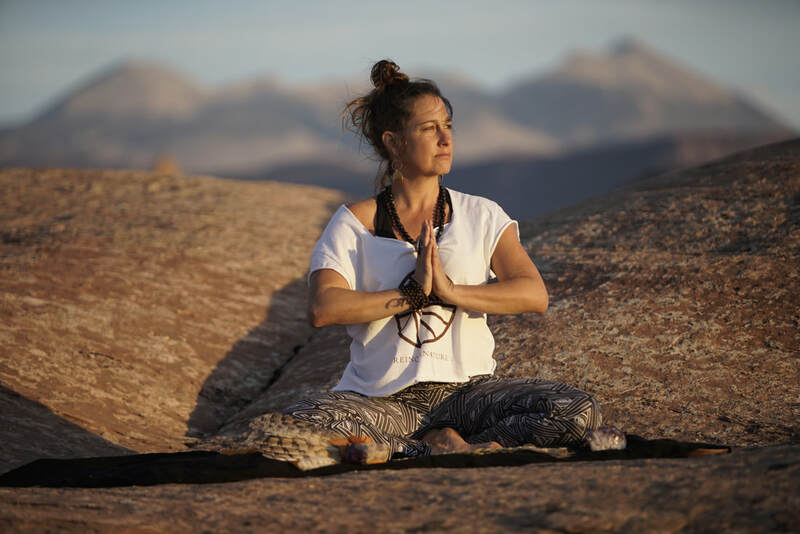 Mantra, visualization, quiet time, and craniosacral therapy would become her new allies utilized in combination with herbal medicine to expedite her recovery over the next 3-5 years. SJ has total faith in the ​power of plants and the belief that we are entirely energetic beings. It has since been SJ's life path to teach and educate the world about botanical medicines & alternative therapies. 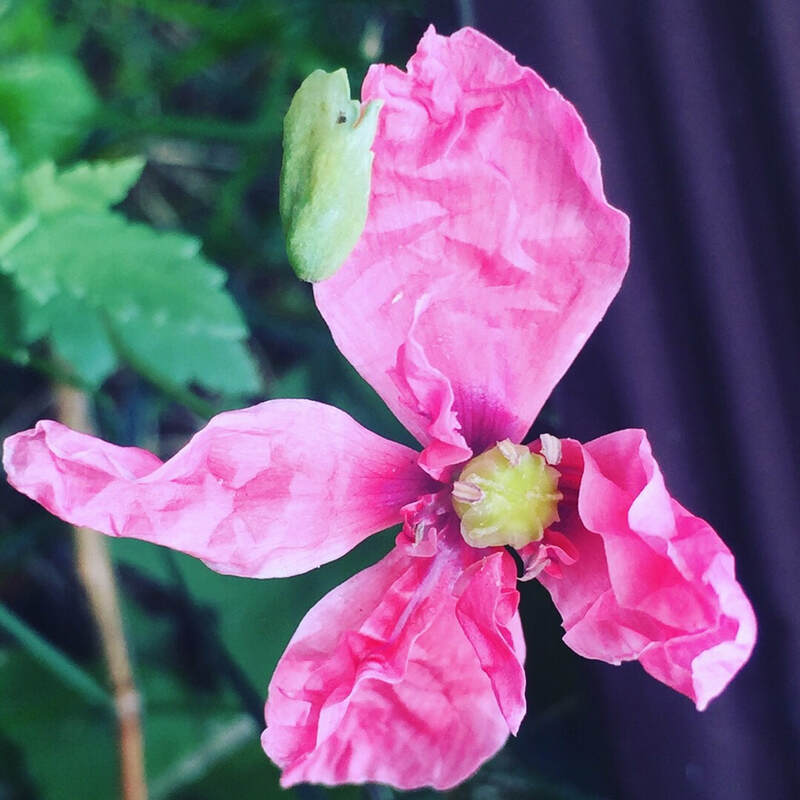 herbal lore, and the wisdom of flower essence therapy & craniosacral therapy on a daily basis. SJ is available for herbal & flower essence consultations in person, on the phone, & through zoom live conferencing. In person bodywork sessions are available and designed uniquely for the client, blending modalities of Zen shiatsu, Craniosacral, and Thai tablework. enhance the treatment on subtle, vibrational levels, promoting a deep relaxation of the Spirit. Sessions are created to hold a safe and sacred container for each client to achieve greater health on all dimensions. The use of sacred plant bundles and their smoke in sessions helps to transmute energies and send prayers directly to source. LIB, ARISE festival, Building Man, & many community events. including Zen Shiatsu at the California School of Massage, Advanced Craniosacral Therapy at Esalen, & eventually Swedish/Deep tissue massage+Thai table in Ft. Collins & Denver, CO.
After first finding and loving Hatha yoga in 1995, I finally attended my teacher training in Sedona, AZ, in 2009, with my teacher Sraddha, at the 7 Centers Yoga Arts under the lineage of Swami Satyananda Saraswati of the Bihar School of Yoga. I perceive the human being as an energetic, holographic system and I believe all presenting ailments stem from vibrational patterns of energy, whether they are physical, spiritual, or emotional in quality. From this lens, the Spirit is included in the healing paradigm, also known as "Shen" in Chinese Medicine. This electromagnetic existence vibrationally links the spirit, meridians, chakras, and our aura directly to the universal field of energy. Please note: These statements have not been evaluated by the Food and Drug Administration (FDA) and are not intended to treat, cure, or diagnose any dis-ease.Please consult your physician before taking any herbal supplements.